I recently watched ESPN’s documentary, The Book of Manning. The film tells the story of the Manning family, whose patriarch, Archie Manning, had a long career as a quarterback in the NFL, including 10 years playing for our own New Orleans Saints. Two of his sons, Peyton and Eli, played as NFL quarterbacks, and have each won two Super Bowls. What struck me most about the documentary was not the family’s dynasty of success so much as the attitude of humility which marks the family, in a sport not known for that quality. The film spends some time on the story of Archie and Olivia Manning’s eldest son, Cooper. Cooper played at Newman High School as a wide receiver, and went on to Ole Miss. Unfortunately, a diagnosis of spinal stenosis in his freshman college year ended his football career before it could begin. 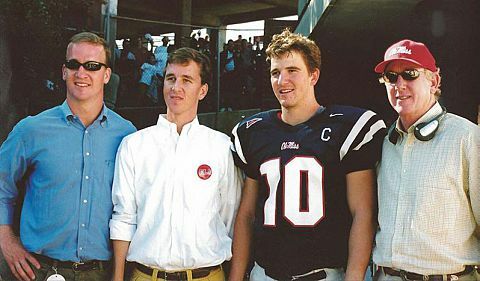 In the true Manning spirit, after Cooper left Ole Miss, he encouraged his brothers in their own football aspirations and accomplishments. Cooper himself went into business, and was the head of a global investment firm. Both Peyton and Eli maintain that Cooper’s attitude toward dealing with his diagnosis has been a great source of inspiration for both of them. This, to me, illustrates Archie Manning’s own humility – he provided his sons with an excellent example, taught them good values, and trusted them to make their own decisions. Cooper, Peyton, and Eli all appear to have profited from this approach, both personally and professionally. The Mannings prove it is possible to enjoy enormous success in a high-profile field known for bravado, while still approaching life with humility. They are an excellent example to all of us, as we raise our own children.